Laser technology has advanced to the point where it is now commonplace in industries all over the world. They are used to help in heavy industry, and also in applications where dexterity and precision is required. Here at Yorkshire Laser & Fabrication, we supply lasers to a wide range of industries throughout the region and the country. With technology constantly advancing, it is finding itself in a wider range of applications more and more as time moves on. Here’s a look at some of the common applications that our lasers are used for today. Steel has been around for a very long time, yet we are still learning of new ways to use it. New tools such as laser cutters allow us to cut more accurately, expanding upon what can be done with sheet metal. Not only are our laser cutters accurate, but they are also fast. A job that might have taken hours can now be done in a fraction of the time. This helps boost production and keeps costs low. Our laser cutters can be incorporated with CAD/CAM technology. This means that they can be programmed to cut according to complex designs. They can also be automated, requiring minimal input from people once they are set up. 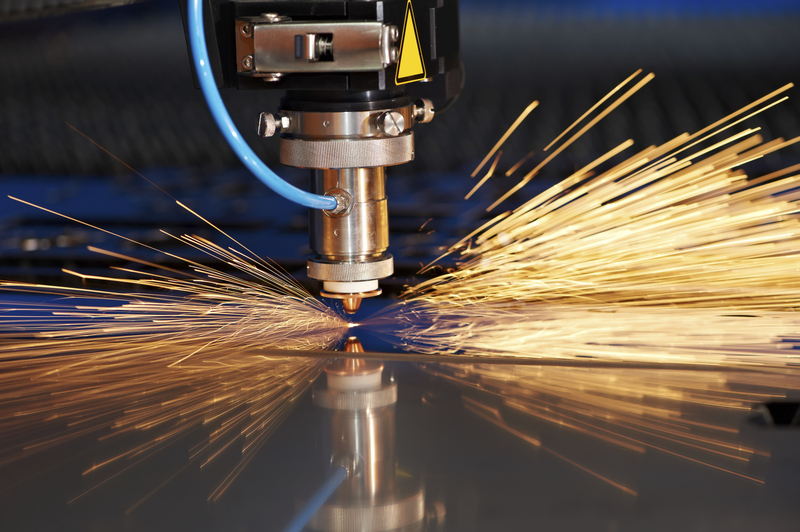 Our lasers produce very fine beams of light that allow for very precise cuts. This makes them ideal for use in surgery where they are already becoming common. Eye surgery, in particular, uses lasers quite a lot as they are ideal for cutting through soft materials with high precision. The latest laser technology also means that the lasers are able to cut precisely without damaging the surrounding tissue. This also means that precision cutting can often be trusted with highly accurate machinery. Up until now, we would have had to put our faith in the steady hands and skills of a surgeon. This allows for precise surgery that we may previously have been reluctant to undertake. Adding a personal touch to gifts helps to make them somewhat more special, and one popular way of achieving this is to add an etching to them. This can take quite a bit of skill, though, and it can also be quite time-consuming. This would normally mean that it might end up quite expensive, depending on what you want. When combined with the right hardware and software, however, lasers make easy work of engravings. The pinpoint accuracy of the lasers also allows them to create etchings in fine detail, something that would usually take longer and be considerably more expensive. What’s more is that lasers can do the job in minutes, or even seconds. Keep an eye on the laser industry and you will likely see that their potential uses will expand over the coming years. The technology will continue to advance making them more powerful, easier to use and also more affordable. It may even not be long before laser cutting tools become commonplace in households around the world. Yorkshire Laser & Fabrication aim to be there to ensure all industries are supplied with the latest laser products.